Primesat clear transparent satellite dishes. 60cm transparent satellite dish. 85cm transparent satellite dish. 60cm and 85cm "Easy Fit" Satellite Dishes. 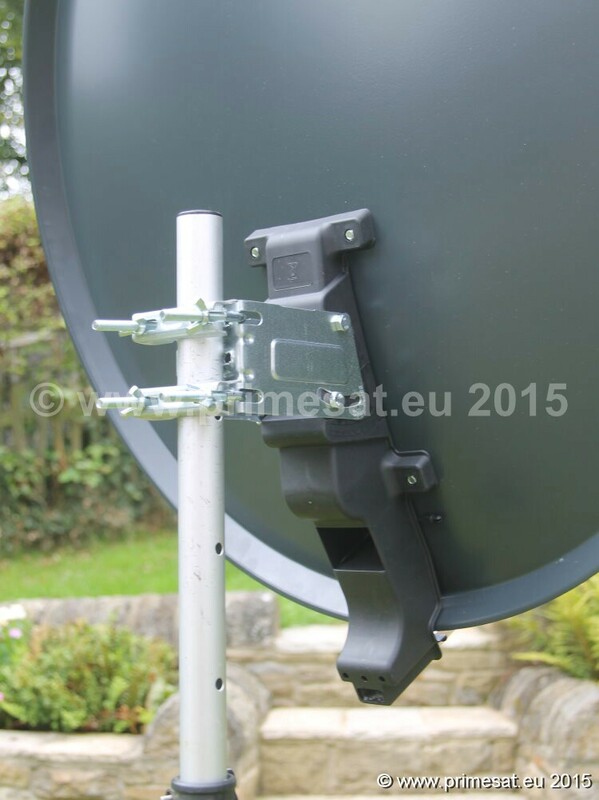 Primesat "East Fit" 60cm dish - EF60. The first time we assembled this dish it took less than 60 seconds. It would be even faster if we had done it before. The bolts that go through the dish reflector screw into captive threads so nuts on the back are not needed. The elevation adjuster clips on and two nuts adjust and hold it tight. The push fit LNB support arm takes one seconds to locate. Corrosion protection is provided using a Polyester RAL7035 powder coating dish reflector. The one piece back plate is an ABS type of injection moulded strong plastic integrated design. The elevation adjuster and pole clamps are galvanised. The LNB support arm (boom arm) is made of aluminium. Many dishes these days now only use one U clamp to save costs. This dish uses two U clamps. The double U clamping design ensures a more rigid opposition to high winds and prevents turning on the pole. A version of this dish is available with wing nuts for mobile caravan / motorhome use and as a full mobile dish kit with stand, cable etc. This dish is ideal for freesat or Sky TV from Astra 2 at 28E. It will work on this satellite in the UK and Northern France. It will provide more signal than a Sky mini dish. 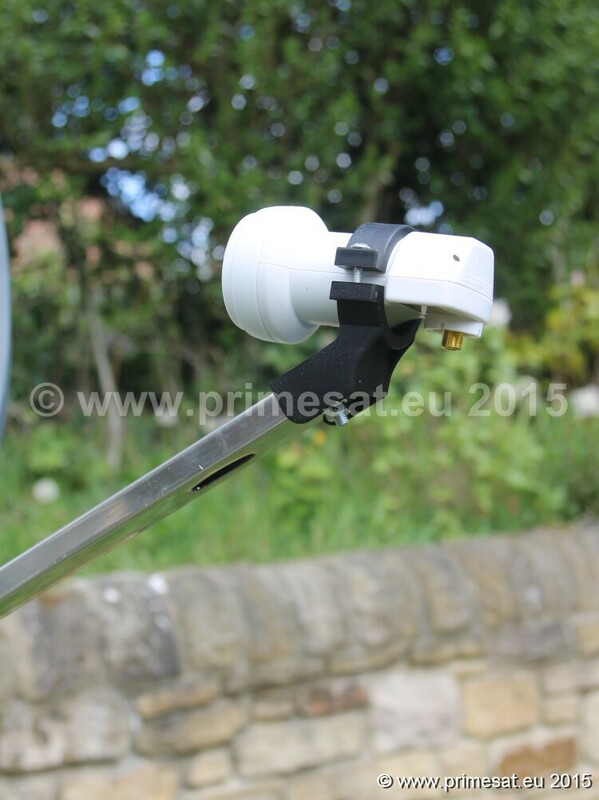 It can also be used for Astra 1 at 19E from the UK and most of western Europe. Mast Clamp For - 25-50 mm diameter poles. 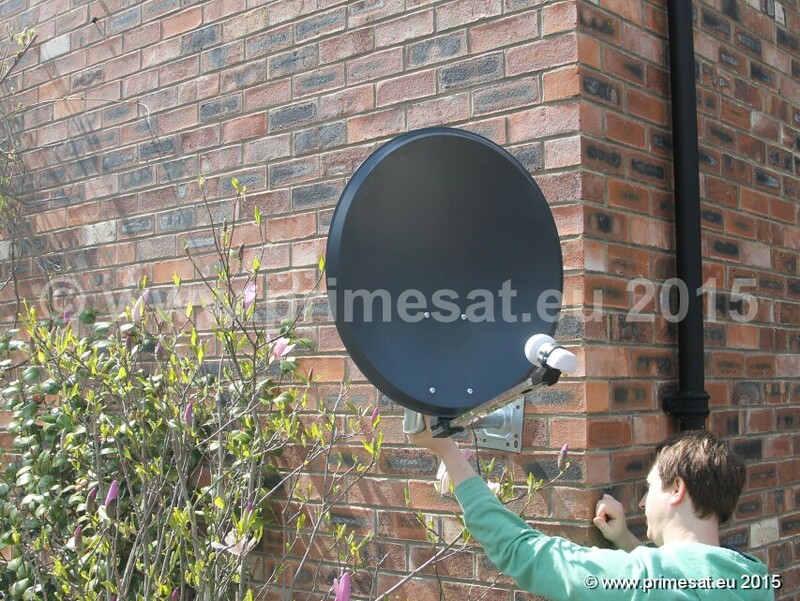 Primesat "Easy Fit" 85cm dish - EF85. This is a quality precision made dish at an excellent price. The first time we assembled this dish it took less than 60 seconds. It would be even faster if we had done it before. The bolts that go through the dish reflector screw into captive threads so nuts on the back are not needed. 2 bolts hold the dish to the metal back plate clamps and 2 nuts provide adjustment. The push fit LNB support arm takes one seconds to locate. Corrosion protection is provided using a Polyester RAL7035 powder coating dish reflector. The one piece back plate is an ABS type of injection moulded strong plastic integrated design. The elevation adjuster and pole clamps are galvanised. The LNB support arm (boom arm) is made of aluminium. Many dishes these days now only use one U clamp to save costs. This dish uses two U clamps. The double U clamping design ensures a more rigid opposition to high winds and prevents turning on the pole. 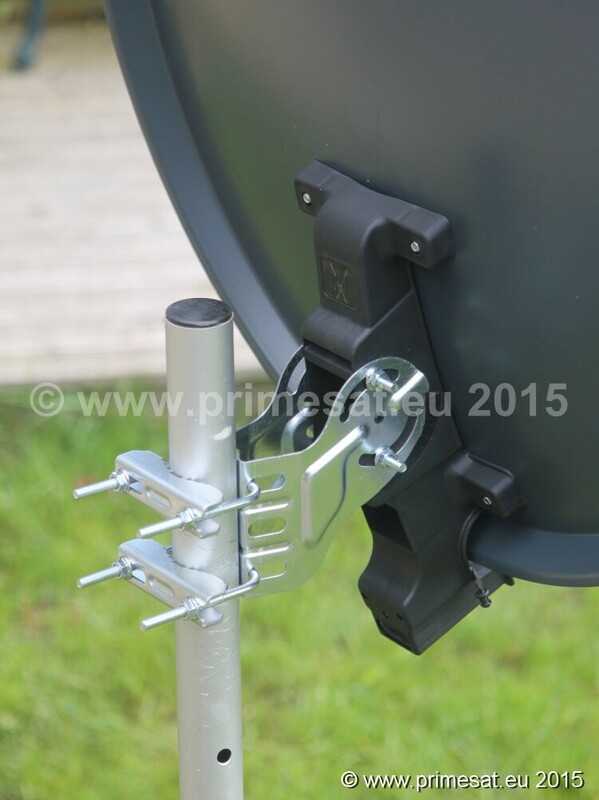 A version of this dish is available with wing nuts for mobile caravan / motorhome use and as a full mobile dish kit with stand, cable etc. A high quality product. Very good value considering the higher grade materials used and the superb performance. 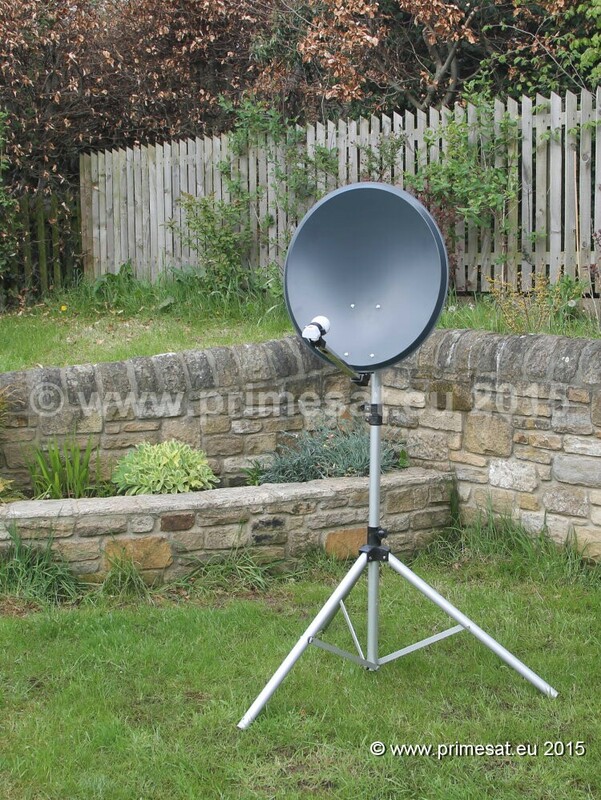 The 85cm dish is ideal for Astra 2 at 28E for freesat and Sky TV in the uk and offers "all weather" capability in north Scotland. Also suitable for Astra 1 at 19E and Hotbird at 13E. Use also for Astra 2 from northern France and and central France (and most eu countries) but the weaker channels would be lost in the south of France.